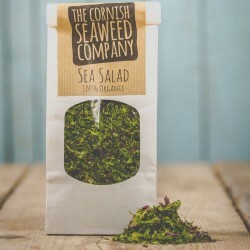 Caroline Warwick-Evans, a renewable energy engineer, and conservationist Tim van Berkel are the founders of the Cornish Seaweed Company, England’s first official seaweed-harvesting business. Caroline and Tim recognized the urgent need for a sustainable way of living and thought of the company as an ethically and environmentally sound set-up. 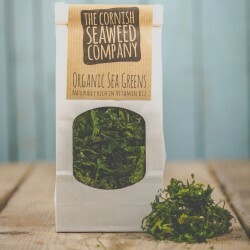 The Cornish Seaweed Company sustainably harvests seaweed from licensed seaweed beds. 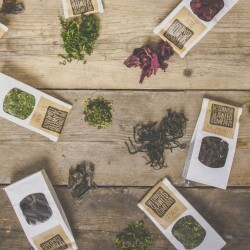 After picking, the seaweed is ­traditionally dried over several days. Have this locally and sustainably gathered ancient Viking survival food on your plate! 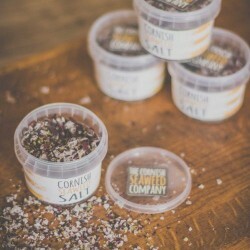 The Telegraph, and The Mirror featured The Cornish Seaweed Company's journey. The Telegraph noted that "Seaweed, grown and harvested in the British Isles, could be the next superfood to make its way on to our dinner plates." They were also featured on BBC Two's Back to the Land series.